Setting “dysfunction” aside, members of Congress took in a game together. 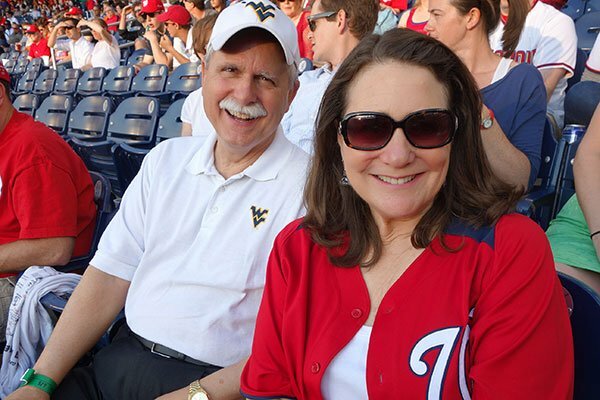 The organizers of “bipartisan baseball” at Nats Park: Republican congressman David McKinley of West Virginia and Democratic congresswoman Diana DeGette of Colorado. Photograph by Carol Ross Joynt. approached her to ask for her help in making it happen. that though she’s been in Congress for 16 years she still can’t identify every member. the crack of a bat and they’d turn their attention to the game, then back to one another. her own ticket for $34 to $37 apiece. Altogether, 500 tickets were sold to the group. main gate entrance for the Capitol Police bus to arrive with the congressional delegation. whole wall of hot dogs, buns, chips and dip, vegetables, and other ballpark fare. themselves to other members. Clearly, the premise of the event worked. place.” In that case, maybe Rizzo should manage Congress during the offseason. Davey Johnson, who presented them with a bat. (To be used on the leadership? Kidding. Just kidding). Jumbotron, waving their red curly W hats in the air. Later, leaving the stadium, I asked McKinley and DeGette if the evening was a success. for the game itself—the Nats lost to the Mets 10 to 1.